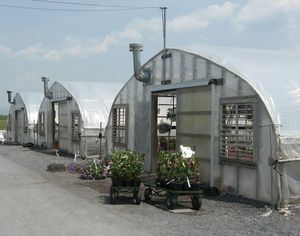 Once the plants are ready, they are transported to the retail area for our customers to purchase. 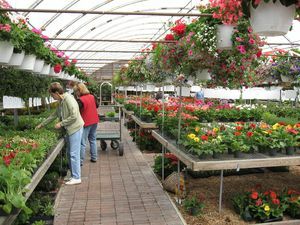 When most of our customers visit Milmont, they have no idea what goes on behind the scenes to produce the healthy, beautiful plants we offer. We'd like to take you through a brief "behind the scenes" tour of our facility. 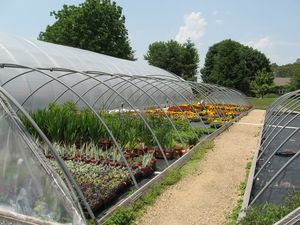 We have many greenhouses on the property that house our plants from when they are first seedlings or tender shoots. 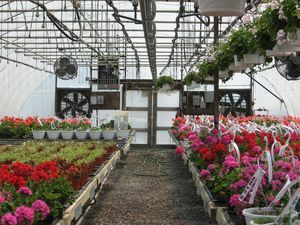 Through the constant care of our staff, the plants are eventually nurtured into the more mature plants our customers see. 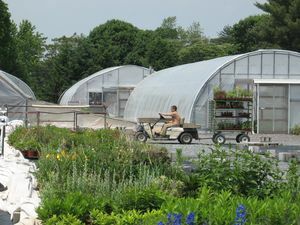 Each of our greenhouses is equipped with just the right air-flow and watering systems for the plants that are grown there. To us humans, they seem more like saunas, but to our plants, they are ideal havens for optimum health and maturity. 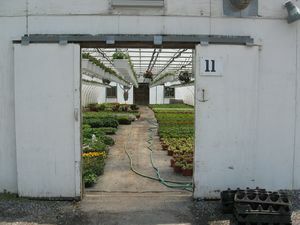 Our customers see the "finished products," but inside our greenhouses is where the life of a plant first takes form. 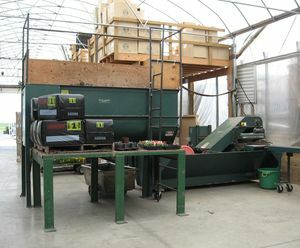 Milmont has it's own soil processing facility where we mix much of the soil we use in our pots and planters. It's quite a sight when poinsettia-planting time comes, as you'll see many staff members lined up at the conveyer rooting the tender plantlings that will eventually become the more than 20,000 adult poinsettias we offer during the Christmas holiday. 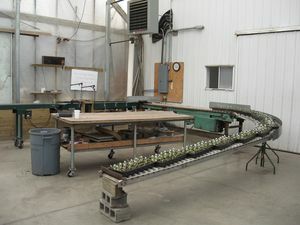 Once the plants are ready, they are transported from the greenhouses onto the floor where our customers have the best of the best! It's not a fancy process, but it has worked for Milmont for more than 30 years and our customers keep coming back! Thanks for joining us on our tour. Please come by in person to see our entire facility.